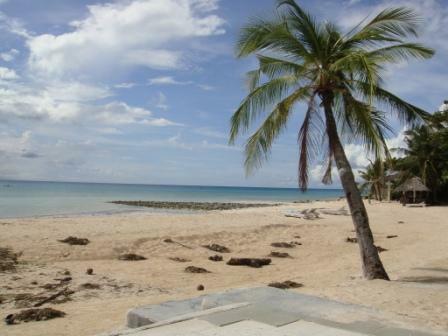 Cebu has always been special to my heart because it is where my husband had proposed to me in 2007. It was in a deserted island in Mactan where he asked me to marry him. Witnesses to this event are the two starfishes he picked up from the shore. And for our last hurrah in 2010, we chose to visit Cebu again, but this time with our 19 months old daughter, in the famous Island of Bantayan. We took the first flight of Air Philippines to Cebu at around 4:15am. Luckily, we scored a promo ticket at Php 1000 for 2 adults and an infant, roundtrip. The flight was delayed a bit because the queue on the check-in counters were too long. So we arrived in Mactan at around 6:00 am and was able to get our baggage and take a cab at around 6:20 am. We took the cab to North Bus Terminal (fee is around Php 100) and unfortunately, we were not able to catch the aircon bus to Hagnaya, so we don’t have a choice but to take the ordinary Ceres bus. The fare from Cebu to Hagnaya is Php 50 per pax (non-aircon). There was a stopover where you could eat barbeque (Php 6 each), grilled chorizo/longganisa (Php 8 each) and puso (rice wrapped in banana leaf, Php 5). This is a super cheap meal that is so yummy! I enjoyed eating these stuff a la camping style -- without spoon and fork, that is. We arrived in Hagnaya before 10:30am, just in time for the next Super Shuttle Ferry to Bantayan. The fare is Php 140 each, Php 70 for children 1-12 years old. A terminal fee of Php 10 each was also collected. The boat ride took around an hour. Upon reaching the Sta Fe Port (Bantayan), the shuttle who would pick us up (from Kota Beach Resort) was already there. The ride from the port to the resort took around 10 minutes. We arrived at the resort at almost 12 noon. Our room was a standard fan room, priced at Php 770 per night. 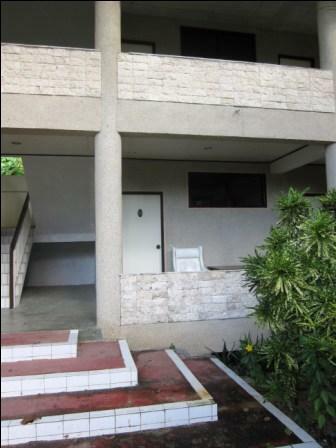 It has no TV, no hot and cold shower, no aircon. Just a double and a single bed, a fan and a bathroom. I am not that impressed with the room because the CR doesn't have a lock, the light is busted and the fans are unclean. The sheets are old and the worst thing of all – there are ants everywhere! So I decided to go to the beach area and see if it will at least reverse my first impressions of the place. The shore is white but not powdery as Boracay. 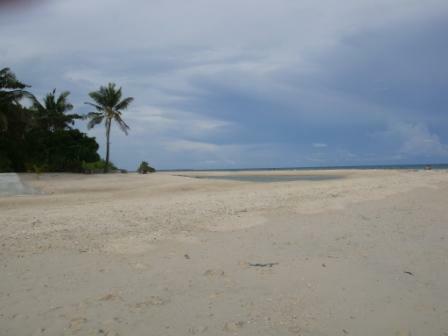 I can compare it to Pandan Island in Palawan and Alona Beach in Bohol in terms of sand. There are parts of the beach that are a bit rocky. There are lots of bugnaw (sea weeds). 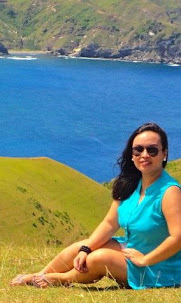 But what I like about the place is that the wind is really refreshing and the island is serene. I can even shout out loud here and no one would complain. We went to Budyong's. the resort next to Kota. Here the sand is finer, the shore is cleaner and it appeals like it is better maintained than Kota’s. Here we enjoyed swimming and bathing in the sun. But unlike in Palawan, you cannot snorkel here as we didn't see fish nor corals. We also tried the food at the famous Tristan’s. But unlike the others, we did not order pizza. Instead we tried their Beef Pochero. The serving is good for 2 to 3 pax and it is priced at round Php 200. It is yummy, has lots of veggies in it and indeed a comfort food. 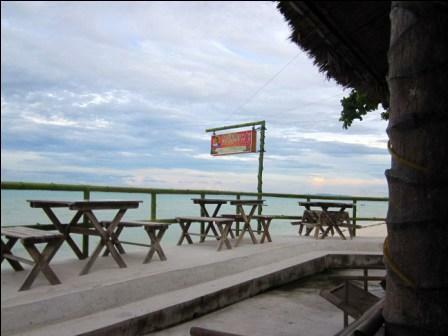 We had also tried eating breakfast at Kota Beach’s Restaurant. 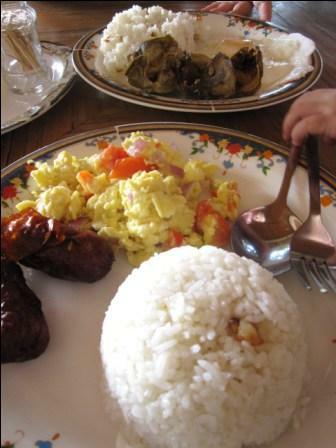 We ate danggit and longganisa, Filipino breakfast is priced at Php 160 per pax, plated. You can also go to the nearby market and eat sinugba (grilled specialties) and puso. There is also a strip of restos there. 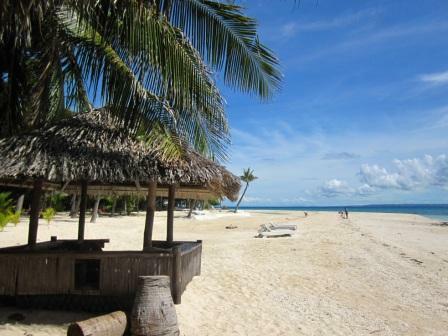 Perhaps in 2-5 years, Bantayan is going to be like Boracay. I just wish there are direct flights from Manila to Sta. Fe. 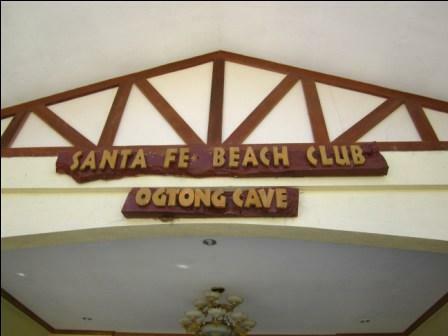 We also checked out Ogtong Cave & Resort but unfortunately, the cave is under DENR testing so we couldn't swim on it. 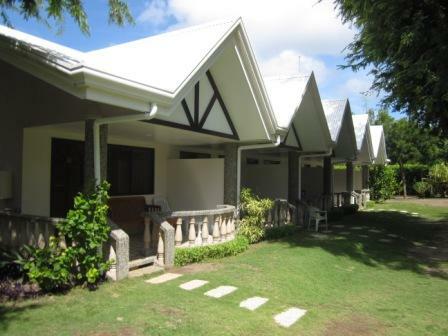 These are the rooms of Ogtong Cave Resort. 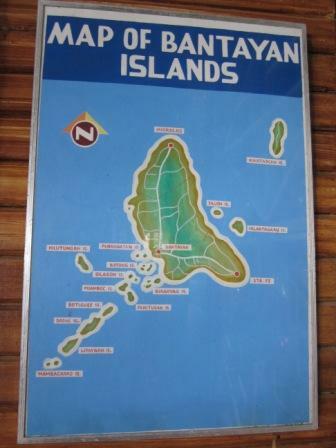 i've always wanted to go to bantayan. pero will steer clear of kota siguro...parang not so nice kasi noh?